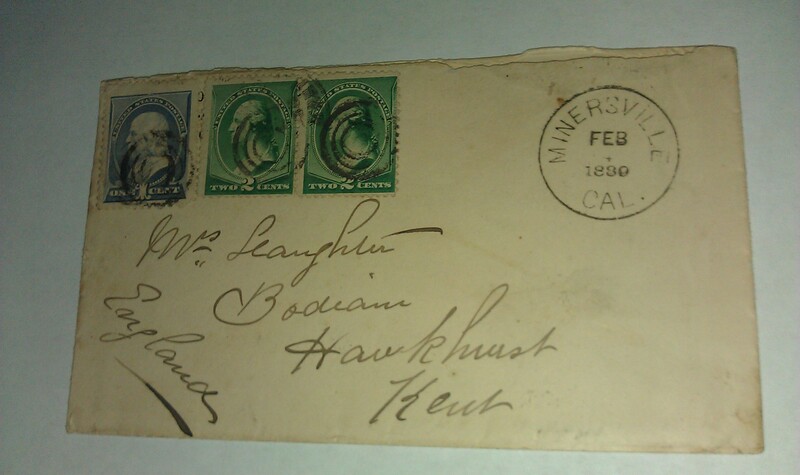 1889 Minersville Trinity California to Kent England NY Football 50 Killer Cancel Rec'd Cover Feb. 4 1889 Minersville Cal. canceled cover to Kent England. New York Feb. 89 football Killer 50 in center of cancel and Hawkhurst rec'd at back of cover. (TRI-1600).